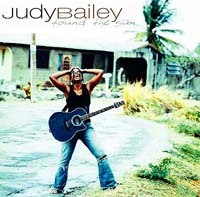 Judy Bailey: Music spinning Upside Down! 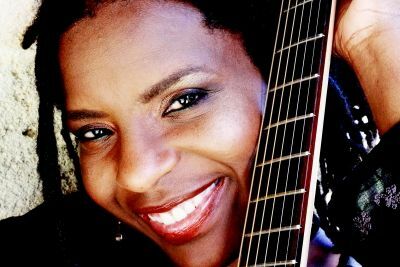 Inspiring music, inspiring words… & an incredibly inspiring musician who globetrotts the world lifting spirits, sharing her songs with bands in jam-packed venues and on the ground with children in Africa, guitar in hand. I met Judy & her husband in Tanzania when they came to visit projects supported by our Germany office (Judy had donated funds from one of her recordings.) Not only does this lady sing, she also raises awareness of global issues as a Goodwill Ambassador for World Vision, a large Christian relief & development agency. During their visit i was so impressed with how humble Judy is & how much Fun she had playing her guitar with the kids, engaging them in the music. After a formal-ish encounter, she just pulled out her guitar, started strumming & the children came out of themselves to be themselves around her. And her VOICE. wow… She ROCKs! This entry was posted in Lent, Music and tagged Extraordinary Light, global music, gospel music, gospel singer judy bailey, inspirational music, inspiring music, inspiring musicians, Judy Bailey, World Vision Germany. Bookmark the permalink.